We're setting off on an adventure in this month's #littlelitbookseries. 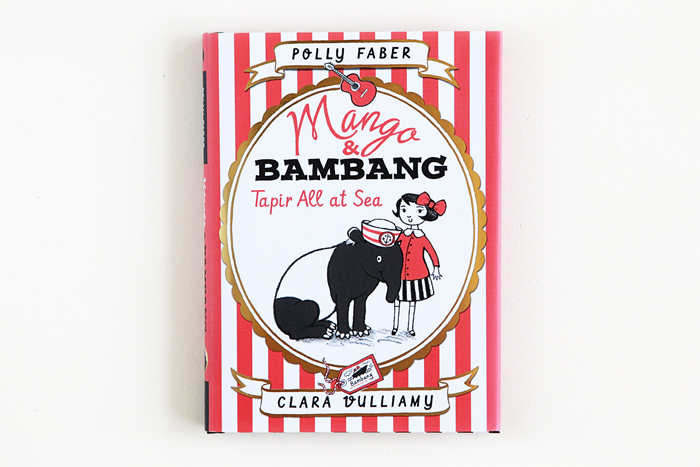 Mango Allsorts and her tapir pal are back in Tapir All at Sea with a new collection of stories. There’s the time Bambang decides to take up dancing as a new hobby, when gets erroneously apprehended as a diamond thief, when he is captured and put on display “in the window of Cynthia Prickle-Posset’s museum, trapped between a selection of mummified cats and a tank of electric eels,” and the time an offer arrives for him to join an ocean liner’s dance troupe as a flamenco dancer traveling the world. This sweet and clever series is a delight and we’re looking forward to the third installment due out on September 1, Tiny Tapir Trouble. If it’s adventure you seek, you’ve come to the right place. Find your way over to #littlelitbookseries on Instagram for some adventurous picks.